The discovery, led by Dr. Pier-Emmanuel Tremblay from the University of Warwick's Department of Physics, has been published in Nature and is largely based on observations taken with the European Space Agency's Gaia satellite. 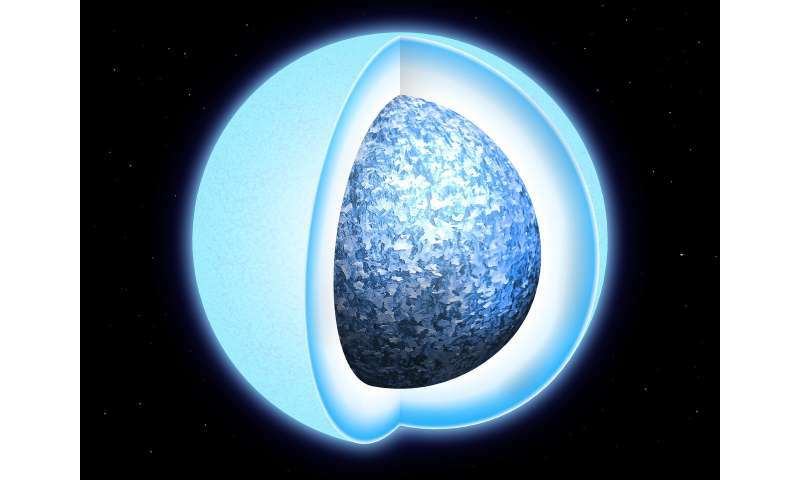 Dr. Tremblay said: "This is the first direct evidence that white dwarfs crystallise, or transition from liquid to solid. It was predicted fifty years ago that we should observe a pile-up in the number of white dwarfs at certain luminosities and colours due to crystallisation and only now this has been observed. Dr. Tremblay adds: "Not only do we have evidence of heat release upon solidification, but considerably more energy release is needed to explain the observations. We believe this is due to the oxygen crystallising first and then sinking to the core, a process similar to sedimentation on a river bed on Earth. This will push the carbon upwards, and that separation will release gravitational energy. "We've made a large step forward in getting accurate ages for these cooler white dwarfs and therefore old stars of the Milky Way. Much of the credit for this discovery is down to the Gaia observations. 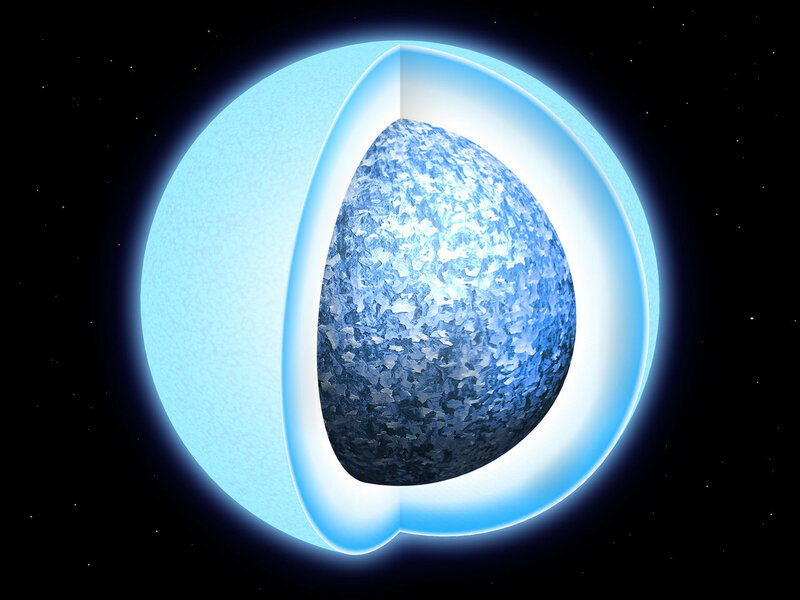 Thanks to the precise measurements that it is capable of, we have understood the interior of white dwarfs in a way that we never expected. Before Gaia we had 100-200 white dwarfs with precise distances and luminosities—and now we have 200,000. This experiment on ultra-dense matter is something that simply cannot be performed in any laboratory on Earth."